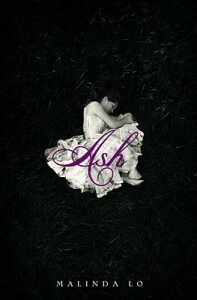 Malinda Lo’s Ash is a beautifully unique take on the Cinderella story. Aisling, our girl who likes to sit amongst the cinders, is not just the victim of an evil stepmother and uncaring stepsisters, but also of her crippling grief. The loss of her mother, in particular, haunts Ash so deeply that she wants to escape into the dark, mysterious world of the fairies — something the reader can interpret as a choice akin to death. Sidhean, a mysterious otherworldly benefactor she meets in the Wood, is friend, father figure, love interest and a harbinger of doom all at once. And, years later, when she encounters the King’s Huntress, Kaisa, this is Ash’s path to light, to living. Lo uses Ash’s love of fairy tales to move her own tale forward, spinning stories about journeys and tests and the lengths a person goes to in order to find themselves or find love. Lo also creates a mythology of Huntresses; strong women celebrated for their hunting prowess and given freedoms that Ash isn’t afforded as a gentlewoman or a servant. And I liked that the lesbian angle was a completely natural part of the narrative. Not trapped by the modern world’s insistence upon labeling everything, Kaisa and Ash just grow to love each other. Period. There’s no real struggle of gay versus straight, because those words don’t exist in this universe. And it’s not so much that Ash is choosing between a man (or at least the fairy equivalent) and a woman as she is choosing between despair and hope. Her awakening is an overall one, as she comes into her own and stops being a victim of circumstance.